Irving in the studio with OBT's Candace Bouchard. 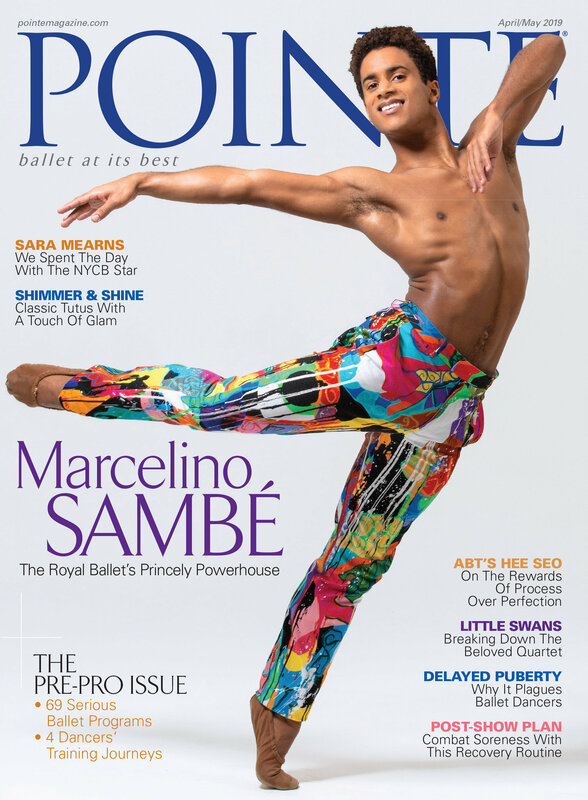 Photo by Blaine Truitt Cover, Courtesy Oregon Ballet Theatre. Kevin Irving is a man of eclectic tastes. It showed in Oregon Ballet Theatre's 2015–16 season, which opened with Napoli Act III, the company's first turn with Bournonville, followed by Balanchine's Nutcracker. Then came Romeo & Juliet, as envisioned by OBT founding artistic director James Canfield. The season closed with Beautiful Decay, an OBT premiere that Irving's partner, contemporary choreographer Nicolo Fonte, created featuring local contemporary dancers. “A salient fact is that I'm very much a mongrel," says the 55-year-old OBT artistic director. As a Long Island teen, Irving aspired to be a jazz dancer, studying at The Ailey School and performing with Elisa Monte Dance before leaping seriously into ballet at 24. He joined Les Grands Ballets Canadiens de Montréal and was promoted to soloist, then principal. He finished his performing days with Twyla Tharp, then moved on to European posts, including associate director at the Madrid-based Compañía Nacional de Danza, artistic director of Sweden's Göteborgs Operans Danskompani and guest ballet master for the Royal Danish Ballet. His ever-changing circumstances taught him to adapt quickly, he says.